Emily Halbig always wanted to be a teacher. 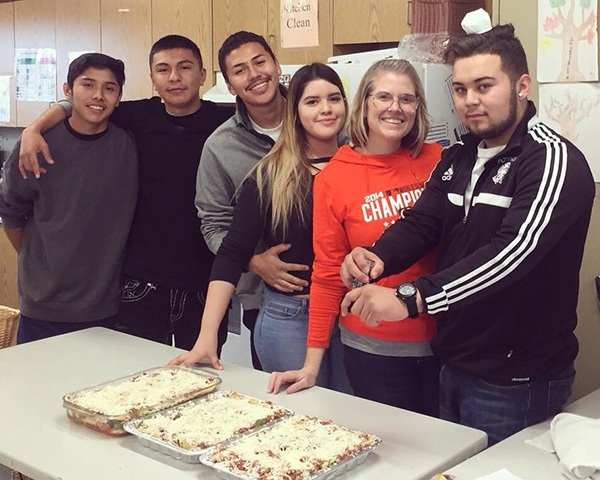 Bettering lives is exactly what Halbig has been doing since starting her teaching career in 2004. Nine years later, while leading a middle school through its first 1:1 Chromebook initiative, Halbig was encouraged by various administrators to direct her obvious leadership skills toward administration. Thus began her pursuit of an MA in Educational Leadership through SDSU’s online program. Halbig answered a few questions about her career and SDSU’s program. I began my teaching career in 2004 in the Pajaro Valley Unified School District [Watsonville, Calif.] where I have worked for my entire career. I initially taught in an after-school program while I completed Cal State TEACH and obtained my multiple subject credential. During this time, I spent a month and a half in Quito, Ecuador, preparing for the BCLAD test. [The Bilingual, Crosscultural, Language and Academic Development certificate is required for teachers who provide instruction in a language other than English.] The year I completed my credential program, the fifth-grade bilingual teaching position previously held by my master teacher, Eladio Martin (an inspiration to me, still to this day!) opened and I was hired to fill it. I held this job for the next seven years. I moved into a position as instructional technology coach in 2013, leading Lakeview Middle School through Santa Cruz County’s first 1:1 Chromebook initiative. I kept this job for four years, working at two middle schools in PVUSD. Throughout this time I worked with many administrators who identified my leadership qualities and encouraged me to consider administration. 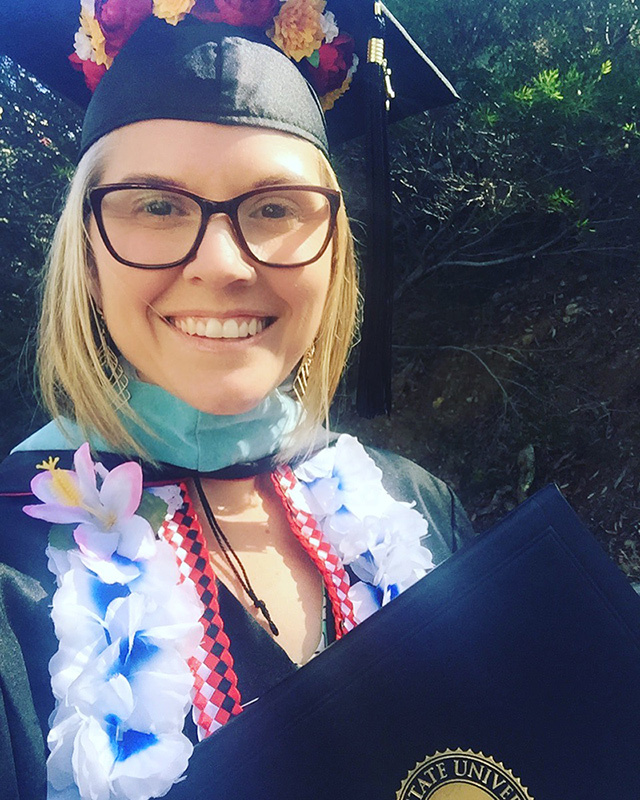 I began the SDSU MA in Educational Leadership program with the idea that I would continue to work in educational technology, however during the program my passion for social justice was rekindled and I felt a strong pull to teach in alternative education, which is where I am now. I currently teach at New School Community Day High School, a small school in PVUSD. I would define alternative education as a means to serve students who struggle with a typical high school program by providing them an opportunity to learn in a small school setting. Many of our students come to us deficient in credits and must work at an accelerated pace to recover credits lost due to extended absences or frequent truancies. We also serve students who have been expelled from the comprehensive high schools. Community Day Schools, specifically, provide not only academic curriculum but focus on socio-emotional development, strengthening of social skills, and life skills. How did you find out about SDSU’s MA in Educational Leadership program? I knew that completing a distance program would be my best chance for success so I searched online. I read about and watched videos for the SDSU MAEL program and liked its tech focus, as well as the flexibility and length of the program. What was your goal in taking the program? Initially my goal was to move into administration in the area of educational technology. The goal shifted midway through the program when I became more passionate about social justice issues in education. At the time I was working at a middle school with a highly punitive system of discipline that was failing the children and I recognized the need for systemic change. My goal now is to work with district administrators in bringing about more positive systems, such as restorative practices and PBIS [Positive Behavioral Interventions & Supports] while implementing more of a socio-emotional focus with students that have suffered from trauma and whose behavior is a reflection of that trauma. How did the online component work with your schedule? It was perfect. While I missed face-to-face interaction and conversations with colleagues, I appreciated the video conference format, in particular the classes where we were all given a chance to speak and participate. The flexibility of watching lectures and reading text on my own time was essential to my schedule of working full time and raising a young child. High caliber. I was impressed with the level of support by most of the instructors and appreciated very much the ability to customize projects based upon our areas of interest. Ian Pumpian and Doug Fisher inspired me greatly when it came to learning about the importance of positive school culture. Dr. [Cheryl] Ward took me out of my comfort zone and really encouraged me to push the boundaries of what I knew and how to effect change. Will Mellman was also influential in allowing us to really explore equity in education. We work in communities with similar demographics and I see him as a role model for my leadership future. Were there any unexpected benefits to interacting with cohorts? I enjoyed working with the same cohort and noticed that by midway through the program, we had formed loose groups based on our areas of focus. There were many highly engaged classmates who I communicated with via Twitter and email (and who I still follow!). It was nice to get perspective from educational leaders working in different areas of the state and in different demographics. 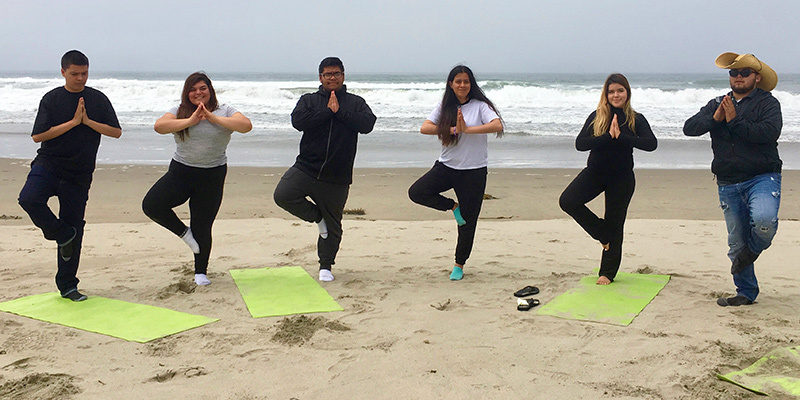 Students celebrated the end of the quarter with yoga on the beach as part of the yoga program that Emily Halbig created at New School. Can you give an example or two of how you implemented your learning in the classroom? My current role as intervention teacher at New School Community Day School requires me to build strong relationships with students and families in order to best support them in reaching their goals. I have brought restorative circles into my classes, which strengthens community and allows students to discuss the issues that they struggle with outside of school that have contributed to their struggles. I understand the burden that childhood trauma has on young people and my learning has given me tools on how to communicate with and support my most at-risk students. What do you think is the program’s biggest strength? The biggest strength for me is that the program is forward thinking. I was surprised at how much we talked about social issues and appreciate very much that the professors understood and encouraged us to think outside the box in terms of learning to support at-risk youth and struggling communities. I think within the SDSU MAEL program there is a general progressive mindset that education needs to change, dramatically, if we want society to change. Learn more about SDSU’s MA in Educational Leadership online program. The application deadline for the Spring 2019 cohort is Nov. 1.